It’s the one film that really has to live up to all the hype following the previous three disappointing, no terrible films (Star Wars Episode I: The Phantom Menace, Star Wars Episode II: Attack of the Clones & Star Wars Episode III: Revenge of the Sith). The good news is it looks like Disney might actually know what they are doing, giving the fans the movie they always wanted!!! So that was the Star Wars The Force Awakens movie trailer, we are all really excited about the movie here at Popcorn Cinema Show! What do think of the trailer? Will you be going to see this latest movie in the series? Please let us know your thoughts by leaving a comment below. 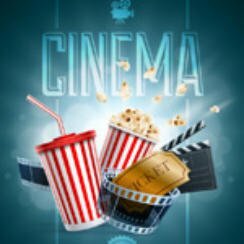 Why not bookmark Popcorn Cinema Show and never miss a new releases! Follow us on social media, Facebook, Twitter, Youtube, Google+, Pinterest and get in touch we love talking about movies.